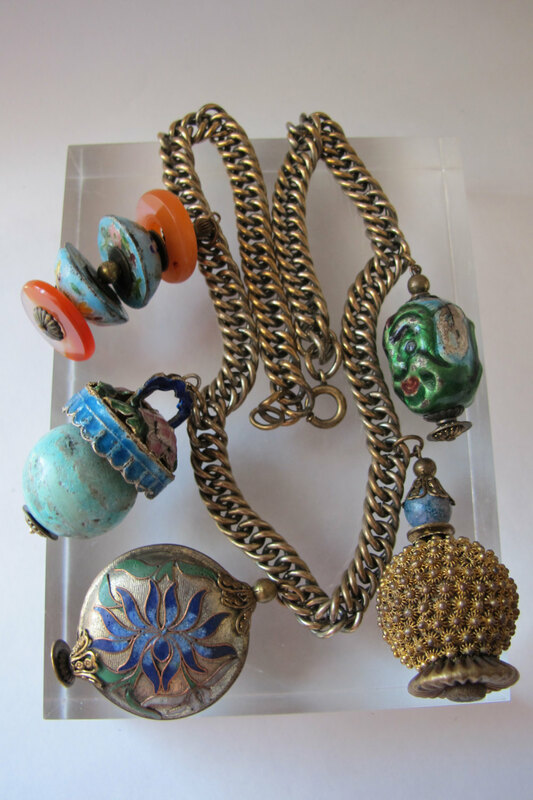 The clasp and style of findings are very Miriam Haskell. Note the openwork bead second from the left in the bottom row. 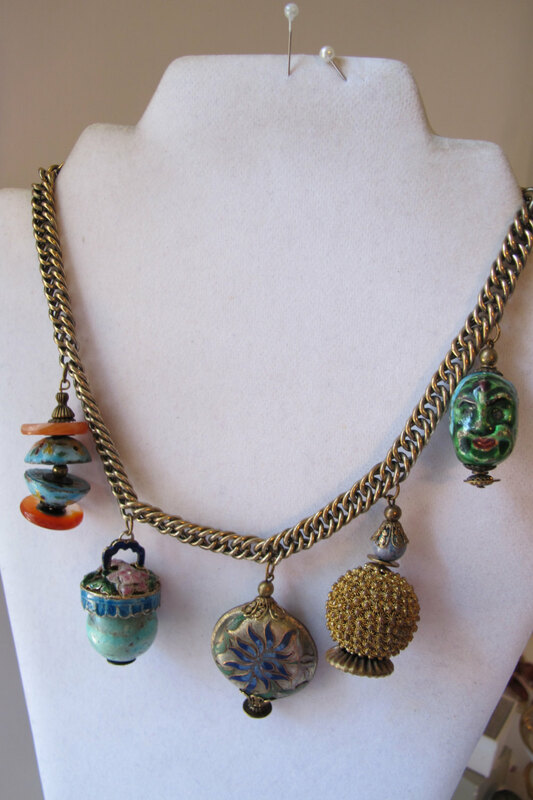 Three similar pendants were combined in another 1930s necklace with a chain similar to Suzanne's necklace.